Orders close Sunday 27th January! Orders for Black Sheep Ultimate Kit for the 2018-2019 season are now open! This page contains all the information regarding this season’s kit order; offering all the same items as the last order and more including: new RAINBOW hydro shorts, re-mix screen print short sleeve jerseys, gunshow tank tops in kit colours, and fuzzy hoodies. The links at the bottom of the page will allow you to submit your order. Please read and become familiar with all the segments of this page. 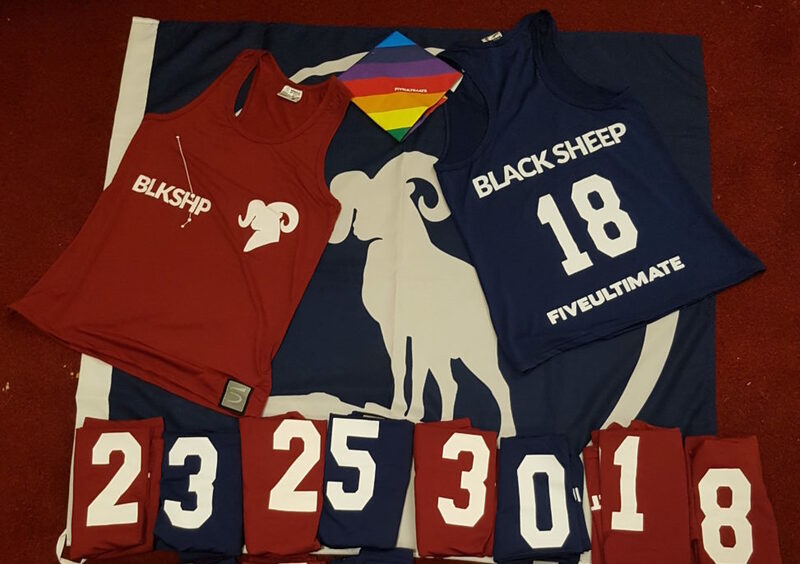 This season, Black Sheep Ultimate are again sponsored by the incredible Five Ultimate! We have secured another year-long contract and the club is ecstatic to be working with Five, knowing that they share our enthusiasm for supporting the continued growth of inclusive, competitive and spirited Ultimate. In return for discounted team kit and items from their store, we will be sporting Black Sheep Five Ultimate Jerseys at UKU Tour events. We will be using Five Ultimate’s Agility; Agility is an online team order system, designed to make everyone’s order experience quicker and easier. This summer, we will be conducting a review into our club kit offering and seeking your input on the range on offer, its pricing and our designs. We don’t know what the outcome of this will be, but this season may be your last chance to get hold of kit items in their current form! We won’t be changing from our trademark navy and maroon colour scheme though, so you will still be able to wear your purchases on the pitch in future seasons! The Jerseys found in the “Roster Gear” section are required for players wishing to play for Black Sheep at UKU Tour events. There are four types of Jerseys available – “Sublimated” and “Screen Printed: Short Sleeve, Long Sleeve, Gunshow” – in both Home (Blue) and Away (Red), and it is the choice of each player to which combination they wish to purchase. All types of Jerseys are colour matched to their respective strips; the Blue of the Sublimated Home Jersey is the same as the Blue of the Screen Printed Jersey. More detail about these Jerseys can be found in the Kit Specification Document – we strongly recommend that you read this document if you wish to completely understand the reasoning for the multiple types of Jersey. “Optional Gear” contains various Black Sheep branded items, including Shorts and Outerwear; none of which are required for players wishing to play for Black Sheep at UKU Tour events (though, it’s pretty sweet stuff at even sweeter prices…). Orders through Agility will be open until Sunday 27th January. 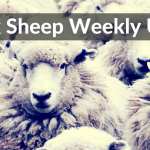 With a payment deadline of midnight on Sunday 27th January for payments into the Black Sheep Ultimate bank account. From there, funds will be transferred to the manufacturer, who will begin printing once everything (player details, cash, print design, etc) has been triple checked and approved. The majority of the screen printed kit is expected to be in the Committee’s hands after 6 weeks. You can expect to be able to collect your kit in time for MT1*. However, due to sublimated kit and some screen printed items being custom made in China, these are not due to arrive until mid-late April*. These items include: both Sublimated Jerseys, Sublimated Rainbow Shorts, Maroon Long Sleeve Jerseys, and both Maroon and Navy Gunshow Tanks. * not guaranteed, as the manufacturing process is out of our direct control. IMPORTANT: If any item DOES NOT sublimated meet the minimum order quantity (MOQ) by the deadline, the Committee will give you an option to either pay the extra cost and keep your order, or you can choose to remove the items from your order. We’ve created an Order Form to calculate your total order cost. 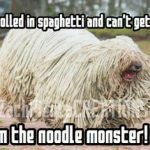 Unfortunately, Agility isn’t able to display in GBP or account for shipping and import costs, so please refer to the “Price List” for the pricing of items. All prices on our Price List and Order Form include all shipping and import charges. You can find Five Ultimate’s sizing charts on their website. Keep in mind; the heat involved in the screen printing process can also shrink gear up to about 1/2 inch. As a lot of club members have Five Kit from the previous orders, consider asking members questions in regards to sizing, especially with regards to the Fuzzy Hoody as this is cut very small. Within Agility, you will add your “Roster Gear” and “Optional Items”. Each item selected will prompt you for your desired size and player number. Once complete, you will see a table summarising the details of your order (items, quantities, sizes, etc). It’s very much like an online store shopping experience. Please check this numbers list of numbers currently held by players. We are operating within numbers 1 to 99 this year. If you currently do not have a Black Sheep Player Number, choose an open one from the list and add your name. If there is a specific number you would like which already has a name next to it, please get in touch with Katie to see if there is the possibility of it being released. Once you’ve completed Agility, please also complete the Order Form – this will be able to confirm your total expenditure. Input your order from Agility into the form, selecting the applicable fields. Once submitted, you won’t be able to edit these forms so please double-check that you’re entering your details correctly. Please only submit your Agility and Order Form once! If you make a mistake in submitting or if you change your mind, please contact the Black Sheep Committee first. Do not submit 2 orders! We will request your payment at the end of the Order Form into the Black Sheep Ultimate bank account by Sunday 27th January. 1.) Choose your “Roster” and “Optional” gear within Agility and complete the ordering process until the end. 1.1) If you want numbered items and you have not got a number yet, refer to the numbers list to see which numbers are still available. 1.2) Not sure of your size? Check the sizing charts. 2.) Fill in and complete the Order Form. It will show the exact prices of each item and the total amount that must be transferred by Sunday 27th January. 2.1) Please ensure that the order you just submitted matches your order inside Agility. 2.2) Please only submit your Agility and Order Form once! If you make a mistake in submitting or if you change your mind, please contact the Black Sheep Committee first. Do not submit 2 orders! 3.) Pay the amount displayed after filling in the Order Form into the Black Sheep Ultimate bank account by Sunday 27th January. If you have any questions, contact the Committee in person or via the Contact page.